I didn't exactly stroll the streets of Prague hand-in-hand with my lover, but two Brits on a stag party did try to tip over my paddleboat while I paddled down the Vltava River. Romance: it comes in all forms. The beauty and charm of Prague, however, surprised me in more ways than one. 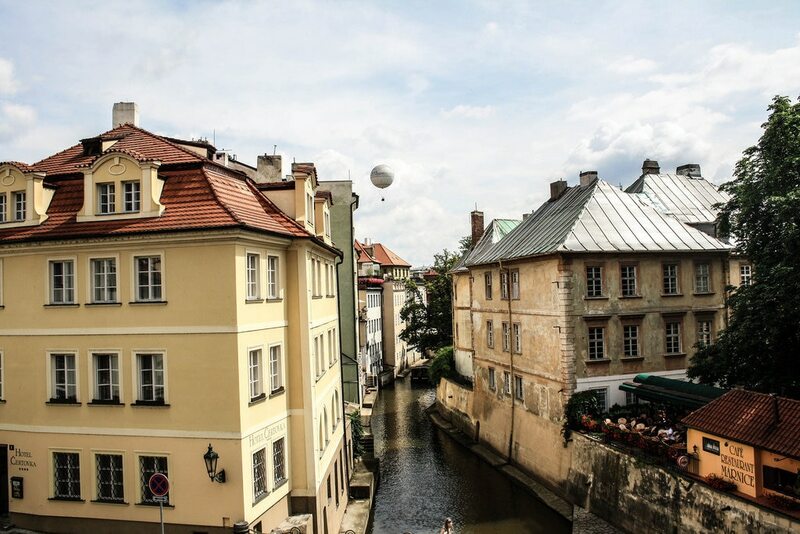 Despite the Czech peoples' reputation as notorious beer guzzlers and party animals, there's a softer side to the city that makes it an ideal place for a romantic getaway. 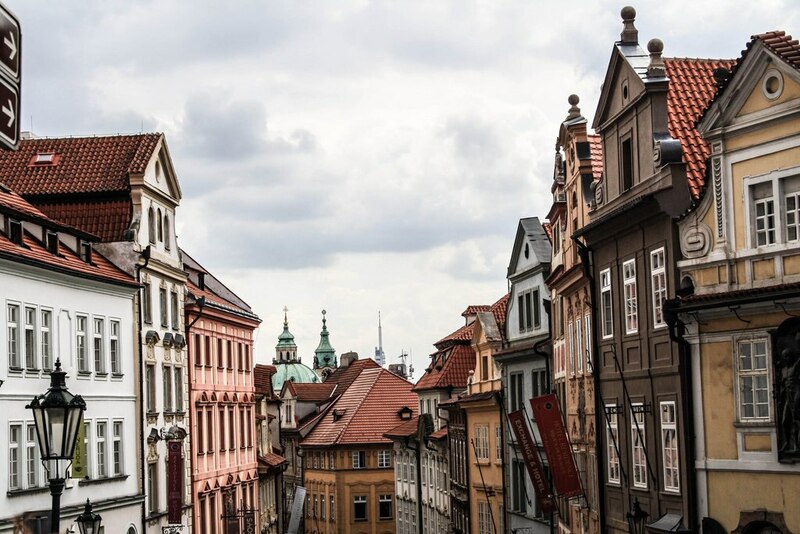 Unlike most European cities, Prague was left relatively untouched during World War II. Its gold-tipped towers, red rooftops, church spires and ornate cathedrals withstood some of the world's darkest days, and it looks none the worse for wear. The arched bridges over the Vltava River carve through the city, addding an extra touch of magic, and from just about everywhere you can catch sight of the 9th century Prague Castle. If I were visiting with a loved one, it'd be enough to simply explore the cobblestone streets, especially around the castle. The pastel-coloured buildings, shuttered windows and unhurried pace of the locals should be soaked up and enjoyed. Despite the hoards of tourists crowding Old Town Square awaiting a kooky performance by the Prague Astronomical Clock, it's easy to find solitude and privacy all around the city's centre. One of my favourite places to do this is along the riverbank. Grab a picnic basket, throw in some pilsners for good measure, and sit on the east side for the best views (across from the Old Town). 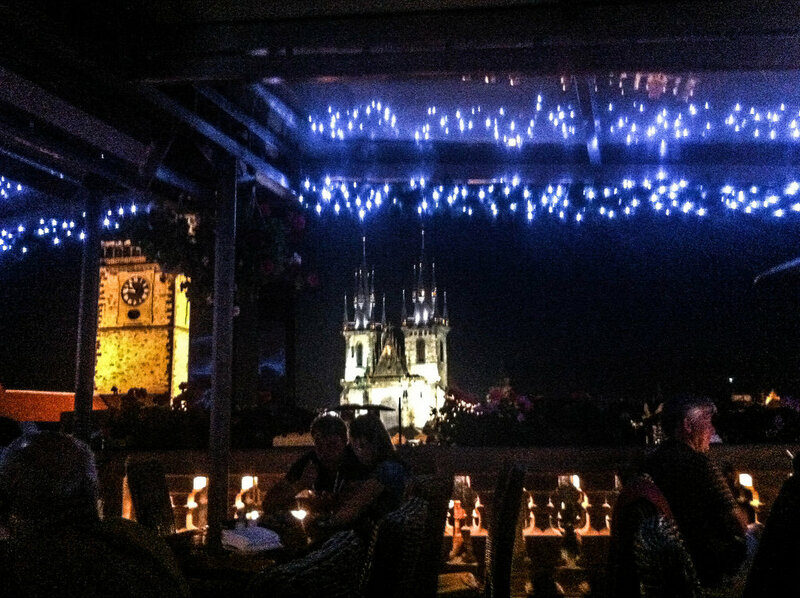 Or, if you're not traditional (like me), take your lover to the Letna Beer Garden, overlooking all of Prague. The love locks are likely the most romantic highlight of Prague. I hadn't realised at the time that they're popular all over Europe, and so Prague was my first encounter with these little emblems of everlasting love. Couples attach their locks to fences or gates, throwing away the key as a final touch of commitment. Often a couple will inscribe their names and the date to the lock. This is a relatively new tradition, apparently based on Italian author Federico Moccia's book 'I Need You', written in 2006. 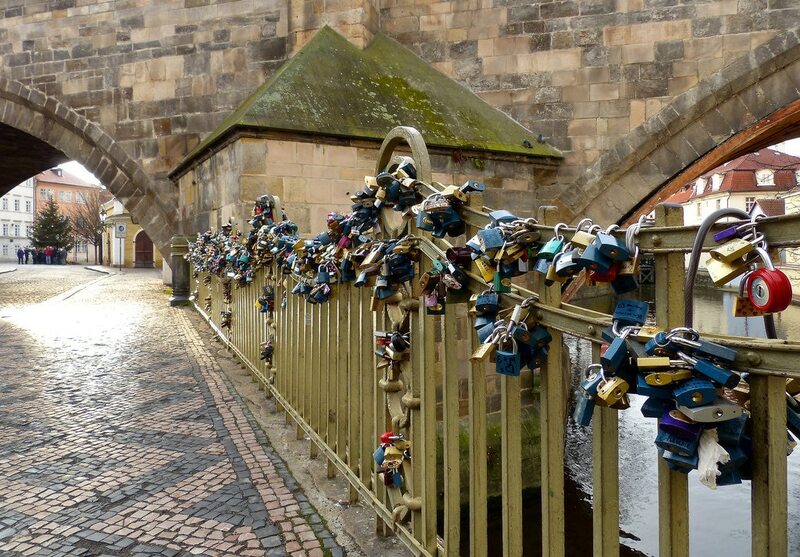 In Prague, the love locks are found along the canal near Charles Bridge, in the Mala Strana neighbourhood. If you're single, avoid at all costs. There's nothing more depressing than stumbling across lovers snogging in front of a gate where they've just proclaimed their devotion to one another. I remember it well. If you are looking to celebrate Valentine's Day, Prague has lots of options. Fine dining is a specialty of the city, and one of my absolute favourite experiences was enjoying a martini atop the U Prince Hotel Roof Terrace Bar. It's one of the few rooftop terraces in the Old Town, and it looks directly out onto the Astronomical Clock Tower. While it might not be paddle boating with tipsy British men, late-night dinner cruises on the Vltava River are also an option. Some cruises come with jazz bands, which is essentially the international music genre of love. Check out the recommendations from top travel bloggers for alternative Valentine's Day hotels and breaks on our Expedia interactive globe.